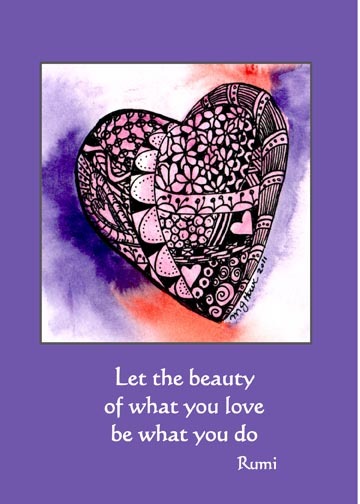 I am delighted to let you know that I have created a page (or store) to display and sell Occupy Your Heart greeting cards. It was a steep learning curve. Buttons mislinking, codes needing to be adjusted, but it was also very rewarding. The designs come from my heart – may they nourish your heart. This entry was posted in Blessings, Gratitude, Visions and tagged Creativity, Greeting card, Inspiration, Joy by Margo. Bookmark the permalink.